Augmented Reality games have existed for years, but have mostly failed to catch a mainstream audience; Pokémon Go just changed all that this weekend. The game that launched early this month has exploded in popularity and is close to surpassing Twitter in daily active users, according to Forbes’ Jason Evangelho. The mobile game available on Android and IOS allows you to capture collectable Pokémon characters using your mobile phone and the physical city around you. Players go to different locations on the map and collect characters, much like the Pokémon trading cards of the ‘90s. It’s taking the concept of geocaching in the mobile age and putting that kid-friendly game face on it. 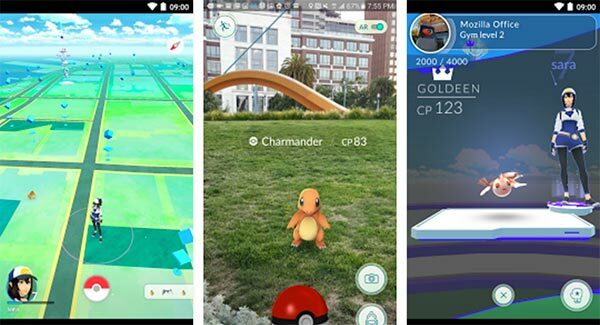 In fact, the game isn’t really anything new; Pokémon Go’s app development company, Niantic, is the creator of the sci-fi-based mobile AR game called Ingress, which has very similar game play and goals as Pokémon Go, and while it has an active audience among some of the sci-fi crowd, it never achieved the runaway success that the new Pokémon app has. With Nintendo’s more kid- and family-friendly Pokémon characters, Niantic created a huge mobile hit and added $7.5 billion to Nintendo’s market value. Anecdotal stories of players accidentally finding dead bodies to 3 a.m. random rendezvous with strangers and police are flooding social media, along with cautionary tales of bad guys using the platform to rob people, hackers creating malicious versions to create backdoors into people’s phones and a security risk due to app permissions for iOS users signing in with Google accounts, and trespassing stories around collecting the characters in hard to get to places. While this kind of mobile-app driven augmented reality experience would be a challenge to build and maintain for government agencies, it’s a fascinating look into how it’s spreading and how communities are forming and interacting around it. It raises a lot of interesting questions around security and privacy, but also is an interesting way to see people bonding across cultures, ages and backgrounds over a mystical child’s game. It’s also an interesting case to consider the ‘Pirate Metrics’ around acquisition, growth and retention as the app grows out of its first week of blockbuster success.